When I was six years old, my mother shook me awake from a sound sleep. She led me, pajama-clad and rubbing my eyes, to our back yard. The Perseid meteor shower was at its peak, and my father did not want one member of our family to miss it. I never wanted to come back in. Astronomy has remained a fascination of mine. I am not a scientist. My field is the study of communication – for me, the critical analysis of text, image, and rhetoric. This summer I will be at the University of California, Berkeley, teaching a Writing for the Sciences course in their Academic Talent Development Program (ATDP) in the Graduate School of Education. ATDP has, for over 30 years, been offering challenging courses to intellectually curious students from kindergarten through high school. Most ATDP students love the STEM classes. Put them in a web development or biotechnology class and they’re happy. Put them in a writing class and they’re – well, they need to be wooed. But how do you convince a 16-year-old future physicist that words matter? My home office is a clutter of books. Leonardo da Vinci, Isaac Asimov, Rachel Carson, Steven Hawking, Neil deGrasse Tyson. 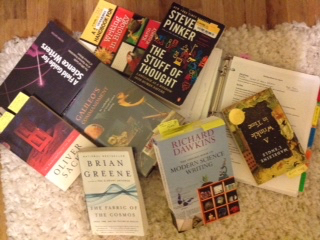 Which of these will woo my students, pushing them along the path to understand that words – their own words – matter? Everything is on the table, including popular culture from Star Wars to Dr. Who. Students will be researching, talking, writing, and standing up to present their own talks. Every word they write will be for a real-time audience, whether for a technical school or a newspaper editorial. I don’t yet know what will work. As usual, my students will be my teachers. My job is to shake them awake, get them to write, and point out the meteors as they fall. I expect them to resist, rubbing their eyes, then look up, look inside, write. And never want to come back in. Elizabeth Leigh Scherman researches representations of divergent bodies in media as well as the rhetoric that accompanies such portrayals, whether in scientific literature, cinema, television, or other forms of popular culture. She holds a Ph.D. in Communication from the University of Washington and is senior tenured faculty at Bates College in Tacoma, Washington. Her work has appeared in peer reviewed journals and edited collections, including Disability Studies Quarterly, The Galaxy is Rated G: Essays on Children’s Science Fiction Film and Television, edited by R.C. Neighbors and Sandy Rankin, The Worlds of Farscape, edited by Sherry Ginn, and an upcoming anthology, Tim Burton: Essays on the Films, edited by Johnson Cheu. 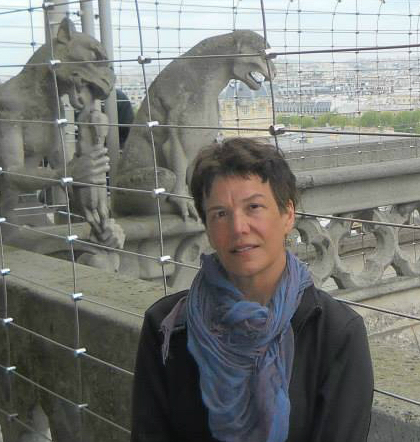 Scherman is developing original curriculum for teaching writing to students interested in STEM fields and will be teaching and initiating this curriculum at the University of California, Berkeley, Graduate School of Education, Academic Talent Development Program in the summer of 2016.